Our Victoriana Freestanding Tub Filler - a fabulous looking vintage British telephone style faucets that transcends the ages, it is suitable for both vintage and transitional spaces. Features a longer than average elephant spout, which gives this tub filler excellent reach over the side of a tub. Supplied in polished nickel, with our rigid freestanding supply lines. 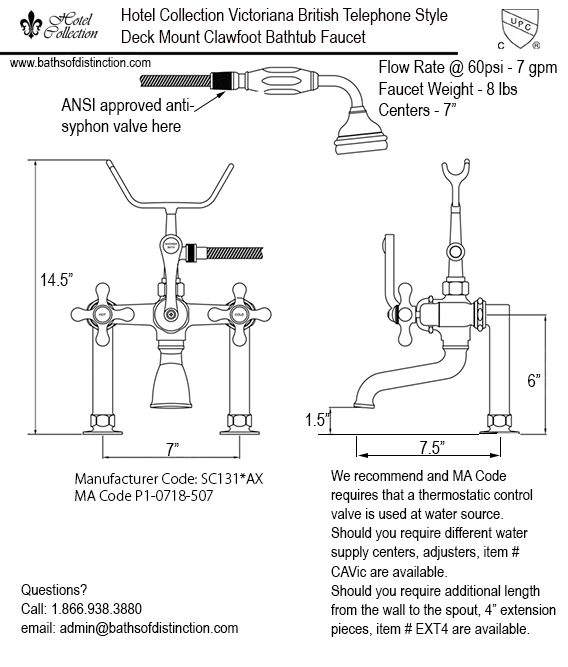 The freestanding supply lines are on 7" centers, feature internal 1/2" flex lines, and include all the hardware necessary to install a complete, rigid floorstanding faucet from the floor up.